Oil supply to Grangemouth refinery in Scotland cut due to pipeline repairs. Grangemouth, Scotland, United Kingdom. 12 December, 2017. 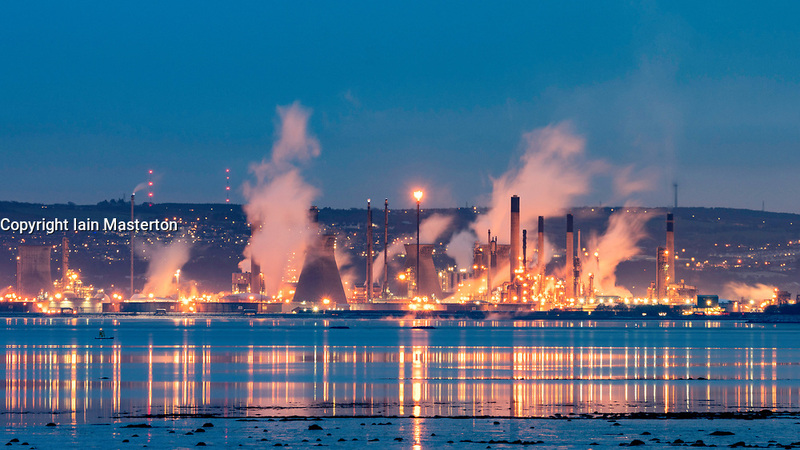 Night view of Grangemouth refinery in Scotland operated by INEOS. The global price of Brent crude increased today because of repairs to the Forties oil pipeline being carried out by INEOS. The pipeline supplies oil to the refinery.